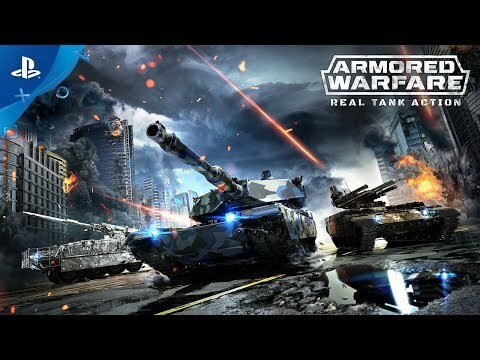 Engage in furious tank combat using the latest armored vehicles in this next-gen multiplayer tank shooter. Choose cooperative missions, PvP battles or hybrid battle modes. Attack and dominate war theaters ranging from deserts to cities, and crush the enemies on the modern battlefield! 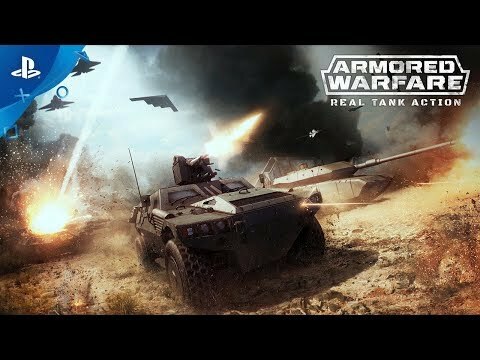 Armored Warfare -- the future of modern tank shooters is coming to PlayStation®4. The military free-to-play MMO lets players take control of cutting-edge war machines and join forces with friends to carry out the most difficult co-op missions, compete with rival teams in PvP mode, or experience the real tank action in the revolutionary Global Operations – an explosive mix of competitive and cooperative play empowered by enlarged interactive maps with respawn zones, overhead surveillance drones, AI support, airstrikes, and much more. 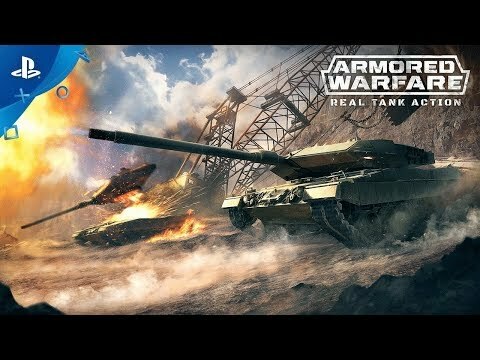 With its revolutionary Global Operations game mode, Armored Warfare will bring you in the heart of the modern battlefield. 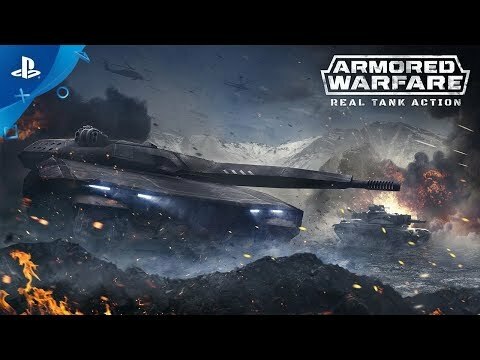 Never seen before in tank games, this unique PvP and PvE hybrid game mode blends long-term strategy with real-time tactics, making your battle more dynamic and exciting than ever before. Capture special zones, call airstrikes, get additional supplies, resist the enemy AI support, get cover, respawn during battle – all this in large-scale maps to give you Real Tank Action! 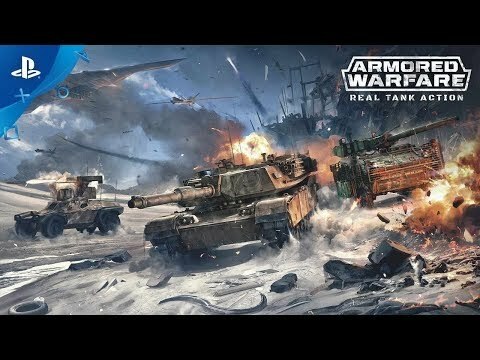 In Armored Warfare, you can feel the power of such masterpieces of modern military industry as XM1A3 Abrams, Leopard 2A7-140, Challenger 2 ATDU, Centauro, T-14, Panhard CRAB, and much more within four classes. The Main Battle Tank is the toughest class in the game, providing massive armor, cutting-edge active protection systems and deadly firepower in one package. While it is not as mobile as other classes, it more than makes up for that with its versatility and ruggedness. Light tanks are the lighter but more mobile counterparts to MBTs. They are not as well-protected, but they are much faster and well-suited for flanking, thanks to their ability to fire accurately on the move. Tank destroyers are fast and lightly armored vehicles with possibly the most powerful guns in the game. They can seriously threaten practically all vehicles they run into, but have to rely on stealth to be successful. They are the snipers of Armored Warfare, staying hidden while delivering killing blows at long distances. 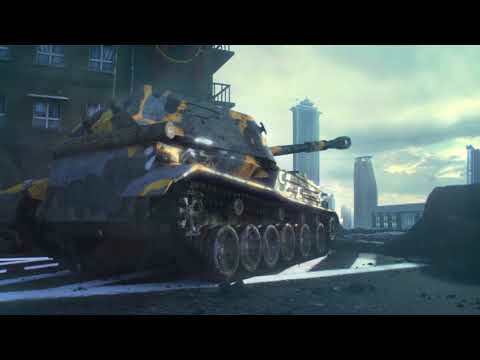 The Armored Fighting Vehicles are the scouts of Armored Warfare. They have an extremely good view range, are very fast and usually very hard to detect, thanks to their generally small sizes. Their main role on the battlefield is to spot enemy vehicles for their teammates to target and destroy, although some of them pack quite a punch. Self-Propelled Guns are the indirect fire artillery of Armored Warfare. They are the only class in the game that can fire beyond their line of sight and their guns are powerful, firing large high-explosive shells with a large splash radius. SPG players in the game can use a special artillery point of view that allows them to fire at the enemy even if the enemy is hidden behind an obstacle. Team up with friends to carry out the most difficult missions sent down to you from Command. These missions will differ depending on the vehicle selected. Only well-coordinated squads will be able to outwit the enemy! The enemy's superior forces, controlled by artificial intelligence, will present a serious challenge as you fight for victory. Engage in challenging, fast-paced player-versus-player combat. Collaborate with your allies and execute clever tactics and maneuvers to emerge from battle victorious and leaving your enemies ground beneath your treads. Armored Warfare is easy to learn, but challenging to master.